An outstanding volunteer – someone who devotes incredible energy to making our community and our state a better place to live? A national service member whose volunteer service goes above and beyond the requirements of the designated program? A well-run volunteer program at an organization, business or corporation? 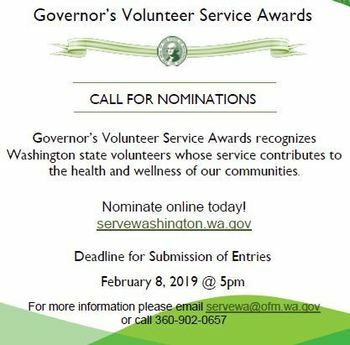 Submit a nomination so that person might be selected as this year’s Governor’s Volunteer Service Awards honoree in one of the categories listed here. For more information and to submit a nomination, click here. 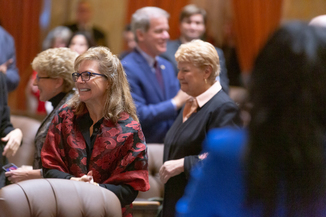 Check out my legislative update where I’m joined by President Rebekah Woods from Columbia Basin College as she talks more about career connected learning.